Steve Deveaux doesn’t like to boast about the amount of time he dedicates to causes beyond his role as Vice-President of Land Development at Tribute Communities. Part of the reason is that it might shock his boss, Tribute co-founder Al Libfeld. The other reason is that Deveaux cares too deeply for the Ontario Home Builders’ Association to possibly dissuade others from donating their time and effort to the cause. 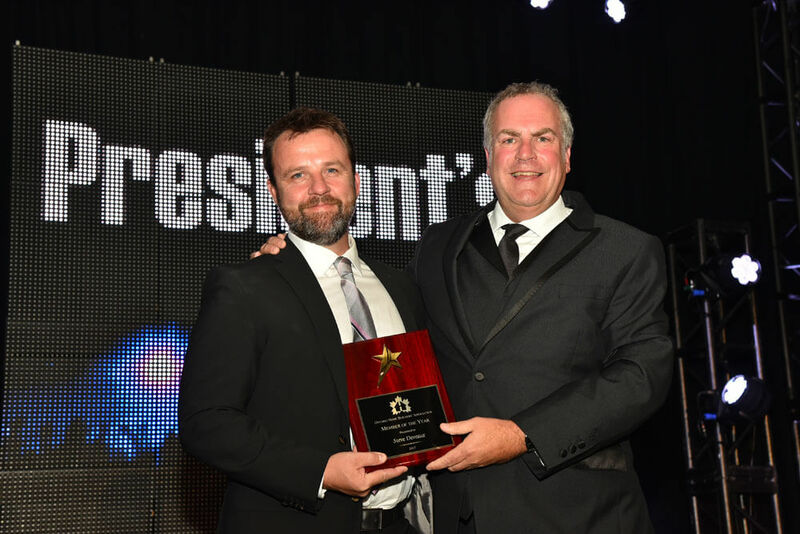 It’s that sort of dedication that earned Deveaux the nod as 2017 OHBA Member of the Year. His passion for the industry and its associations has included work alongside OHBA on government advocacy efforts on the above-mentioned issues, with presentations at joint meetings to Ontario Premier Kathleen Wynne and PC Leader Patrick Brown, as well as many deputations to Queen’s Park Standing Committees in support of OHBA positions. “It has been a challenging couple of years for our industry, dealing with this provincial government and their unending revisions and updates to legislation,” Deveaux admits. “But what I’m most proud of is how as an industry we’ve continually provided expert, factual information to the Province. We’ve never shied away from telling the truth. Positions we put forward were entirely credible and correct, if often ignored. Deveaux says his time as Chair with BILD helped him appreciate both sides of the debate a little better. “I’ve been volunteering my time for a long time, but really dealing with politicians and municipal and provincial staff on much more macro policy levels, and seeing the big-picture items that will really shape the region for years to come, helps put things in perspective when you’re having different conversations with staff and politicians on your individual development applications,” Deveaux notes. “You can more readily relate it back to the provincial goals of intensification and making best use of the infrastructure aspects of planning. Having an in-depth understanding of where the numbers come from when debating them at that level helps you in your everyday job.” But while his chairing duties with BILD are behind him, Deveaux remains dog-with-a-bone relentless in his support of current issues at all levels of the industry. Why keep such a busy schedule? “Networking aside, I think it’s important to continue to stay relevant and understand what our industry partners are doing, and show support for one another as we collectively deal with this unending barrage of legislative reform,” Deveaux says. “Attending these events, whether educational sessions or a dinner, and being able to talk to people and share experiences and come up with solutions all reinforces that we’re doing the right thing and attempting to grow the region.